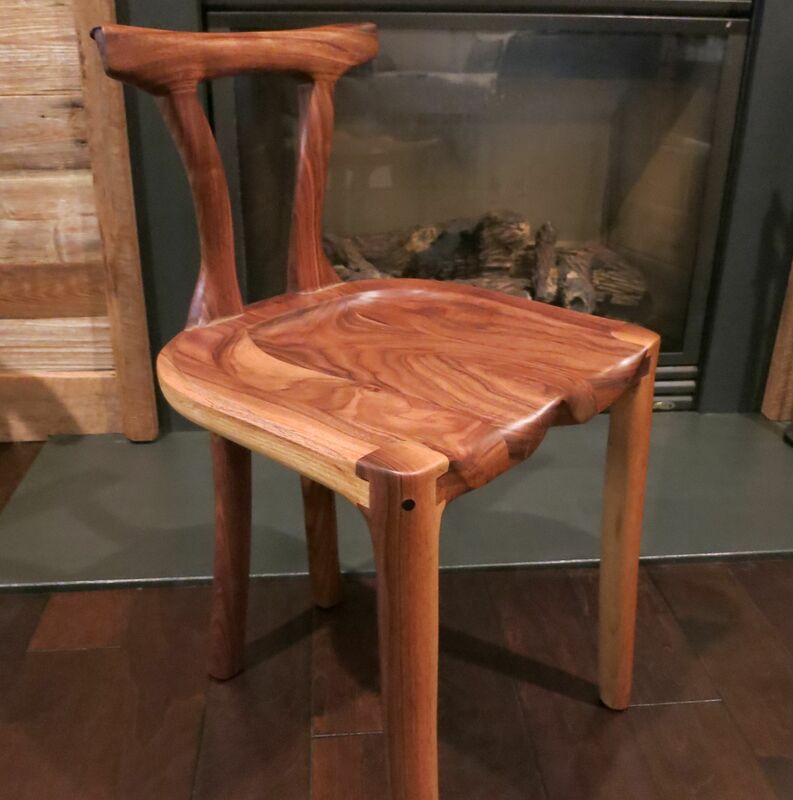 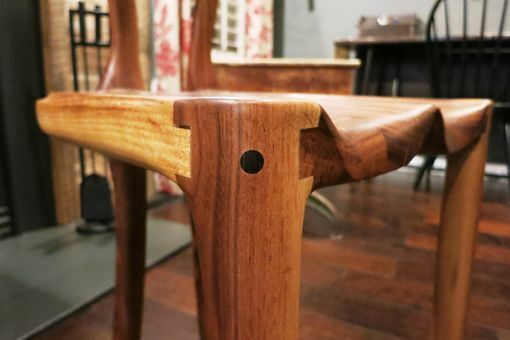 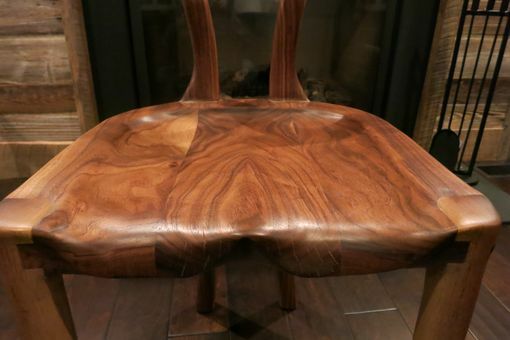 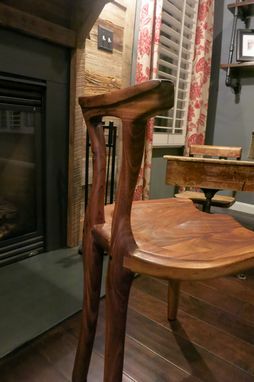 Based on the Charles Brock/Sam Maloof Bowtie Stool, this is sculpted entirely from 2" thick walnut with wenge plugs on the joints. 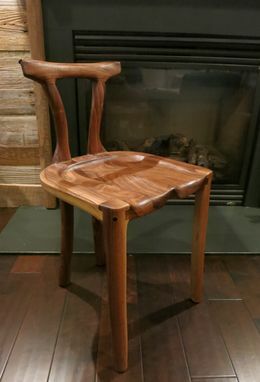 Seat is 16" square and a standard 19" from the floor with the back reaching to a comfortable 30" to provide solid support for the lower/middle back or as an arm rest. 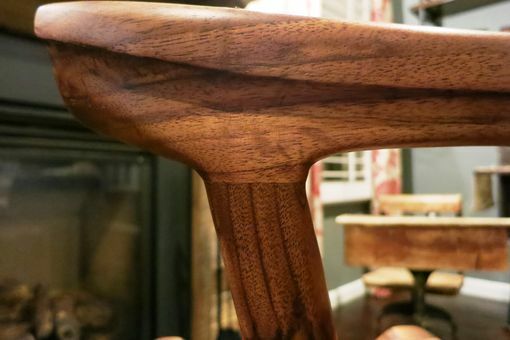 Finish is a wax and linseed oil blend which augments the color, provides protection and gives an exceptionally smooth feel without building a thick barrier experienced with most lacquer/poly varnishes.